This week’s edition of the program is sure to ruffle a few feathers! 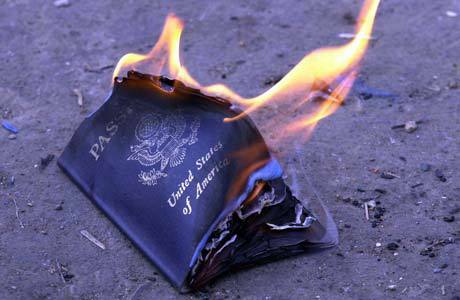 Corey responds to a recent article on the PanAm Post by Andrew Woodbury on the staggering uptake in U.S. citizens renouncing their citizenship to unburden themselves of taxes due on foreign earned incomes. This has always been a hot button topic on theOverseas Radio Network, and will be covered extensively at a 3-day conference in Las Vegas, at which Corey will be a speaker. Next up, Dan Stevens from The Costa Rican Times makes his regular appearance to have a frank discussion on the recent findings of sea turtles in the hundreds turning up dead at sea. With wild accusations flying, including causes ranging from long-liners to Nicaraguan dynamite, this controversy must not be simply swept under the rug. Now the current administration is passing laws to protect animal rights, and its persistent stance that Costa Rica is a “green” country, the time is critical to see if the actions will indeed match the sometimes shallow legislative verbiage. On a lighter note, Corey is delighted to make contact with Samantha and Yeison from My Tan Feet! These wonderful folks are putting together one of our favorite sites accounting a wide variety of topics on living and traveling throughout Central America. Yeison grew up in the capital city of Costa Rica and last year, Samantha joined him, creating memories of adventures and travels throughout the coasts of Costa Rica. They hope to continue loving and experiencing life to the fullest in this beautiful place and that you will join them to share our love for this country! For more information about the show, guests, or to become a sponsor, shoot us an email at info@thisweekincostarica.com. Who knows, maybe Corey will even make you the next guest on the show!